Being not too far from my house in East Kent, we planned a trip to Sussex a couple of weeks ago. 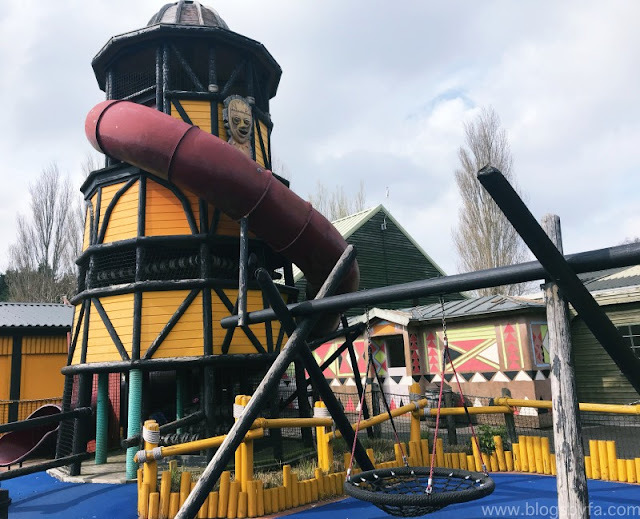 Having researched a bit about the town and nearby attractions, I picked up the best family friendly places we could explore during our stay. 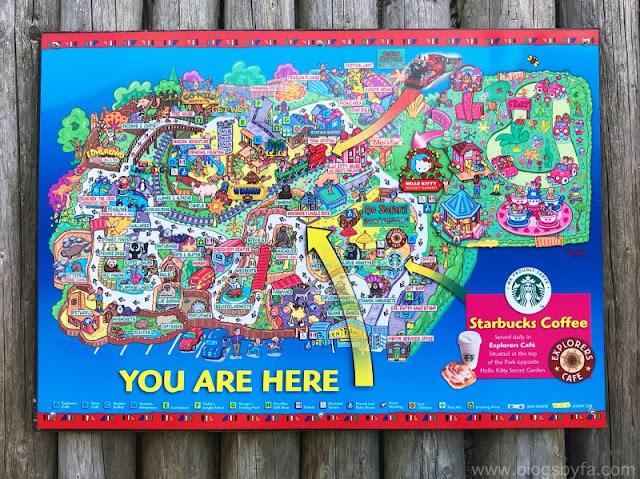 I had Drusillas Park in my agenda since almost a year, but I wanted BabyN’ to grow a bit older so he could enjoy all the activities the park offers. 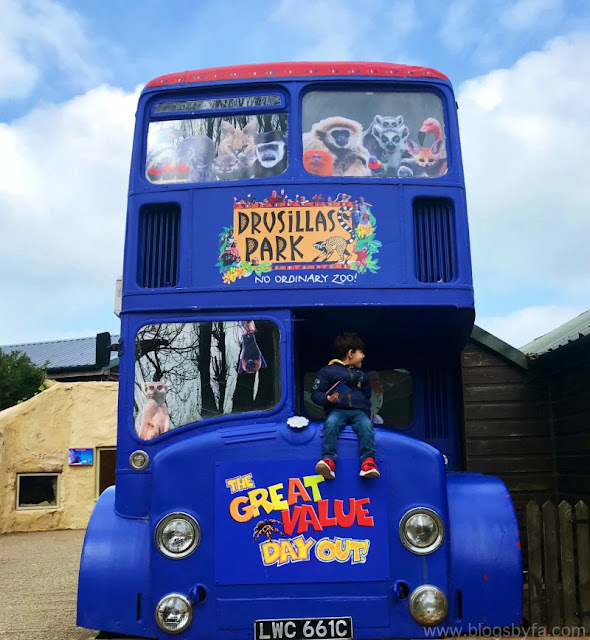 Drusillas Park is one of the best family friendly attractions in Sussex not far from Eastbourne, that works perfectly for a day out with kids outdoors. The summer and winter timing differs, and all details are available on the attraction’s website. 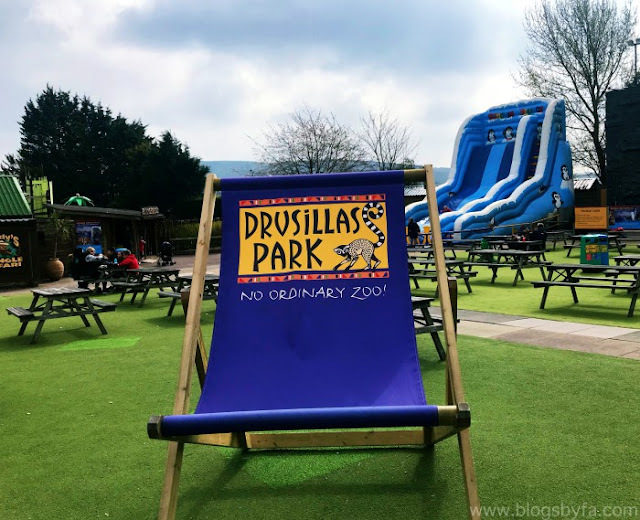 You can also read more about our visit to Drusillas Park in one of my previous posts. 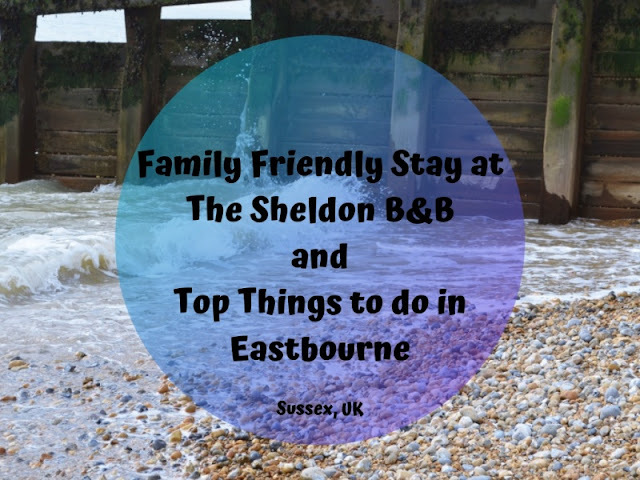 Soon after reaching Eastbourne after a fulfilled day at the park, we headed straight to The Sheldon Bed & Breakfast in Eastbourne - a very family friendly hotel that was the perfect option for us! 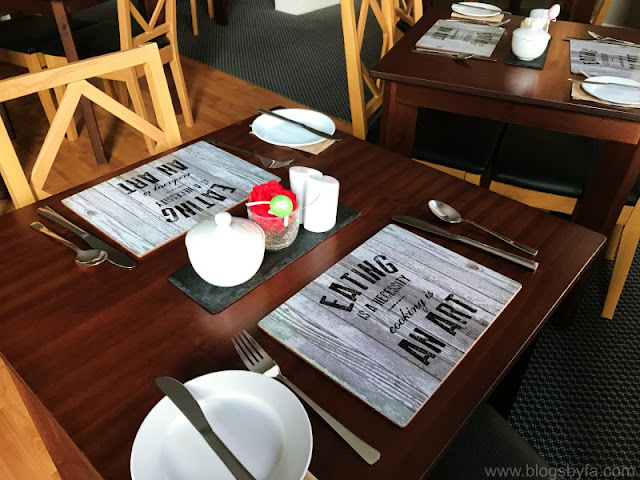 Having an ideal location, just within a few minutes walk from the town centre, the B&B offers free parking for the guests and has different sized bedrooms to cater to everyone’s needs. The exclusive discount voucher booklet provided at the time of check-in had suggestions for things to do in and around the town and also had discount vouchers for lots of different restaurants and attractions. Also, the dining area inside the B&B equipped with a microwave and fridge for guests is perfect to enjoy a takeaway. 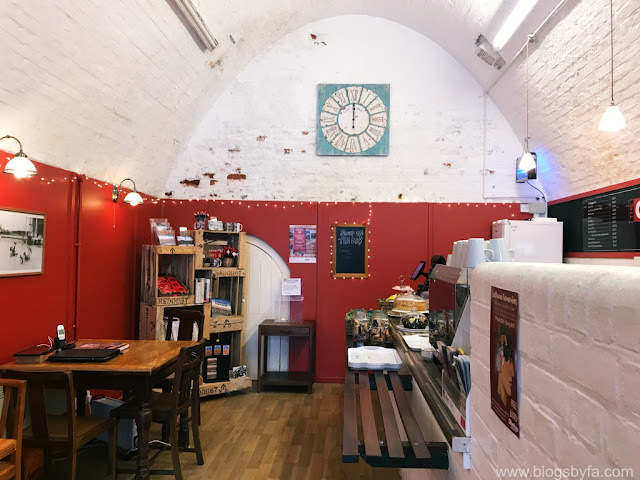 The B&B serves hot breakfast in the morning, but the guests are welcome to use the dining area to enjoy the food they bring, either by heating it in the microwave provided, or keeping it in the fridge for consuming later. Moreover, high chairs are also available in the dining area. 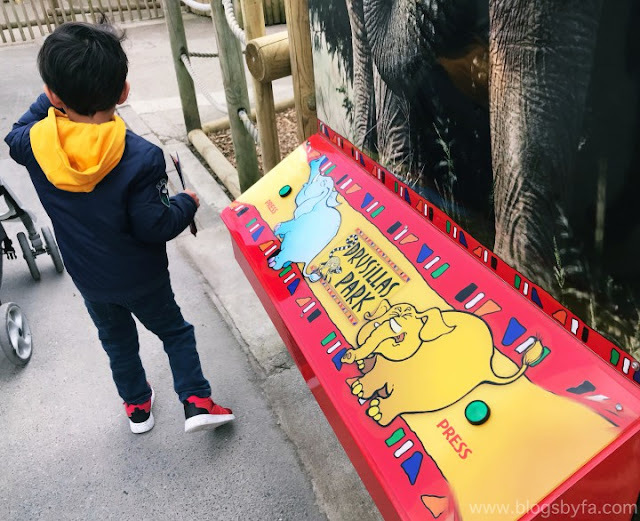 We had a very smooth check-in and although we had plans to walk to the Eastbourne pier after taking rest for a while, we ended up spending time at the children’s play room and BabyN’ was overjoyed to see the boxes of toys. We stayed in a very good sized comfort family room that can easily sleep 4-5, and the en-suite had both a shower and a bath with fresh towels and lovely toiletries complimentary for the guests - Perfect to keep your luggage weight down! 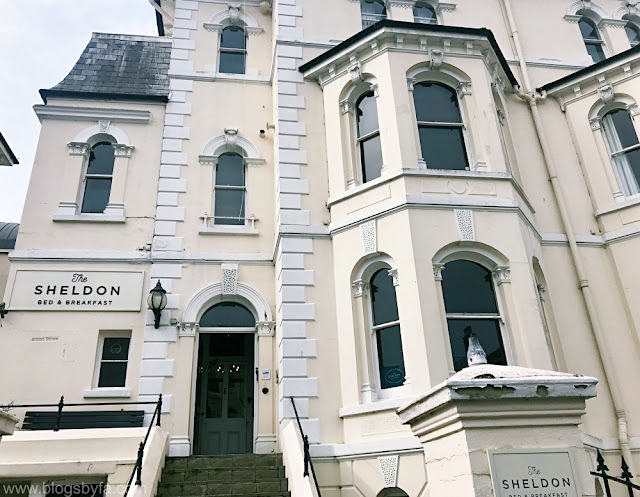 We had a very pleasant stay at The Sheldon in Eastbourne, our room was spacious with lots of place for BabyN' to run around. Additionally, the beds and the bedding were super comfortable and accommodation also provides baby and toddler packs and cots are available for free (lines provided for a small charge). Our room had all the important things I could ask for, including an iron and iron stand and a hair dryer. Tea and coffee facility in the room with lots of supply and a kettle, are always great when retiring for a day or to relax while watching TV with a a hot drink. The newly furbished play room is lovely to keep kids busy while you enjoy reading a book or watching a movie. They also provide beach equipment that can be borrowed and baby sitting services and monitors are also available. 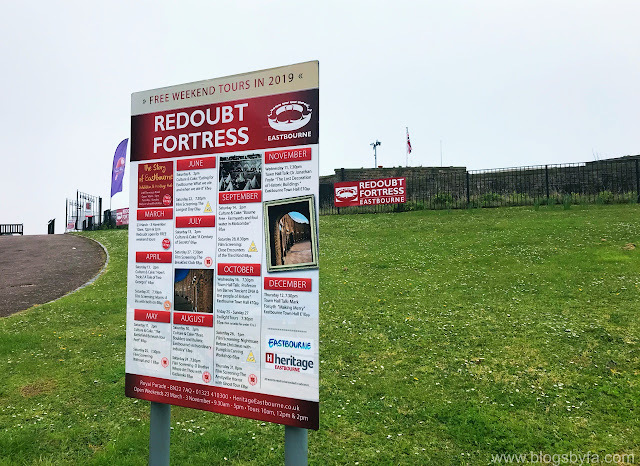 After spending a long day at Drusillas Park in Sussex, we badly needed some rest and had to fuel up for the next day so we decided to explore Eastbourne after a good night's sleep at the B&B before checking out the next morning. 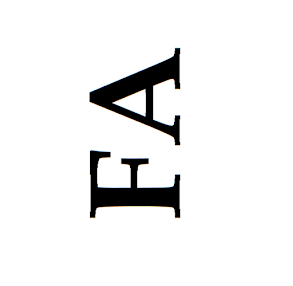 I've complied a list of top things to do in Eastbourne, most of which are family friendly attractions. 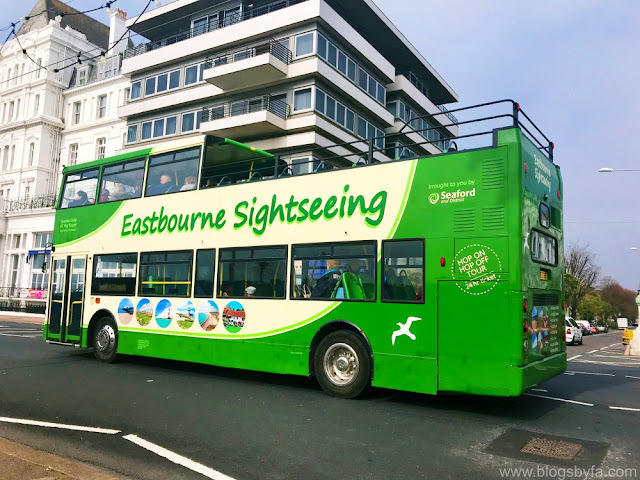 When walking towards the Eastbourne promenade, you will definitely come across the Carpet Gardens with vibrant displays of various plant beddings and fountains. Both traditional bedding, and tropical style plants can be seen, including the shrubs from all over the world and also some plant species from the Mediterranean. I feel these buses operating in cities are perfect to see a town, especially if one is not too keen on walking or have young children. The bus stops at various places all across the town and the open roof is perfect to enjoy the breeze on a warm sunny day! 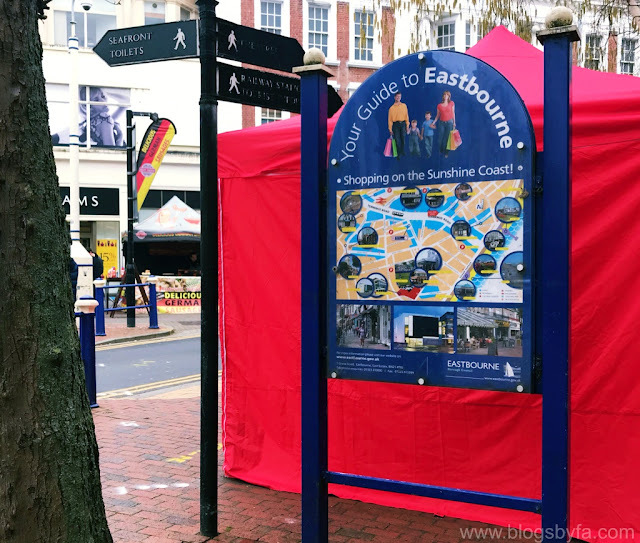 Eastbourne has lots of options for visitors when it comes to shopping - from exploring the shops in the town centre, to checking out the market stalls or visiting the local shopping centres such as the Enterprise Shopping Centre, the town has it all, to cater to your shopping needs. Visitors can also stop for a bite at one of the local restaurants or cafes or buy something freshly prepared at one of the food stalls in the market. 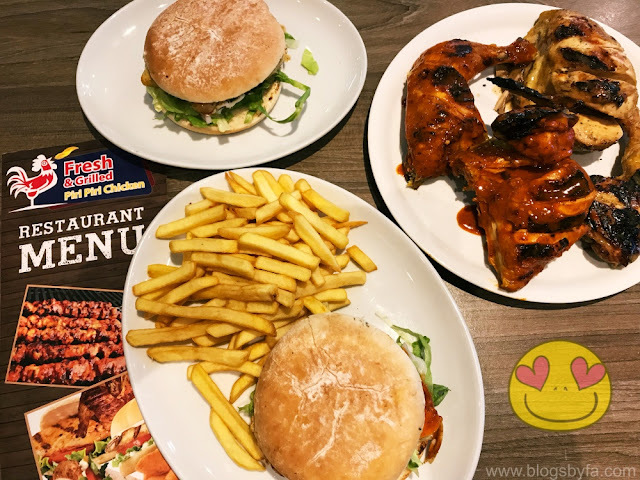 There also isn't any issue for the Muslim visitors to find Halal food, as plenty of options are easily available. A chalk headland located in East Sussex, Beachy Head is quite close to the Eastbourne town centre. Beachy Head cliffs in Eastbourne are known to be UK's highest chalk sea cliffs where visitors can get spectacular views, and spend time with family or friends. 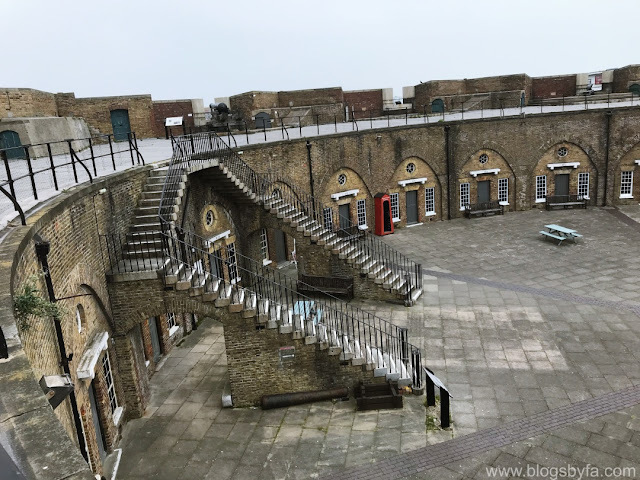 Paid parking is available and the place is open for visitors throughout the day! Beachy Head is also quite popular especially among the big brands and is known as a popular filming location. 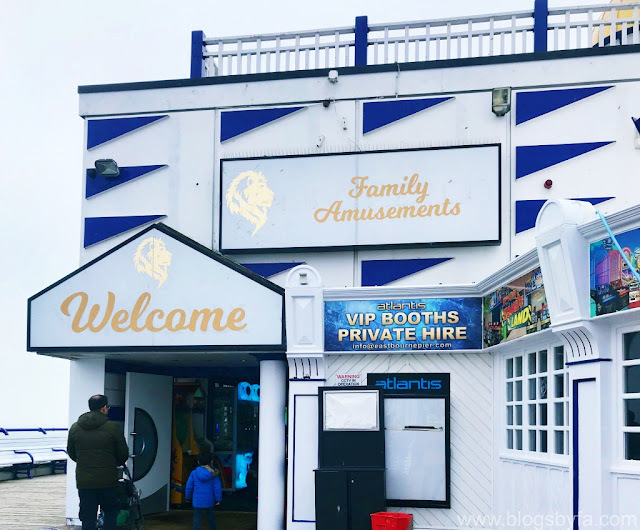 Eastbourne Pier, located just 10 minutes by walk from The Sheldon B&B in Eastbourne, is one of the best places to spend time with family. 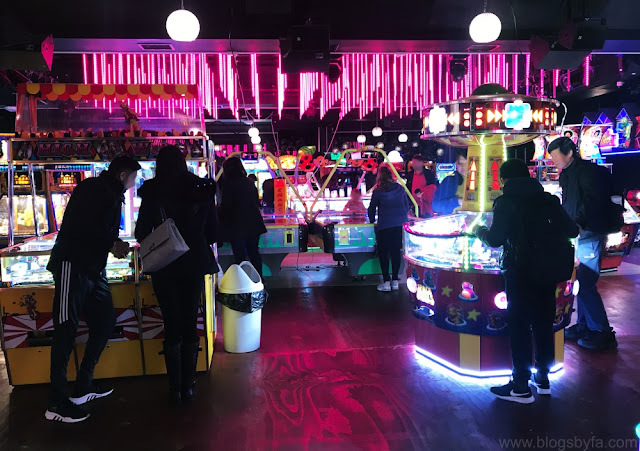 Visitors can stop for a hot drink or a bite at the cafe located close to the beach, or spend some time at the arcade where lots of fun activities can keep kids and adults busy for hours! The pier also has lots of shops that sells different products such a gift items or souvenirs, drinks and food. If you're a fan of theatre, then it's definitely worth booking tickets to have a good time during your stay in Eastbourne. Choose from lots of different productions and enjoy! The art gallery is free to enter, and hosts some of the most significant public art collections. 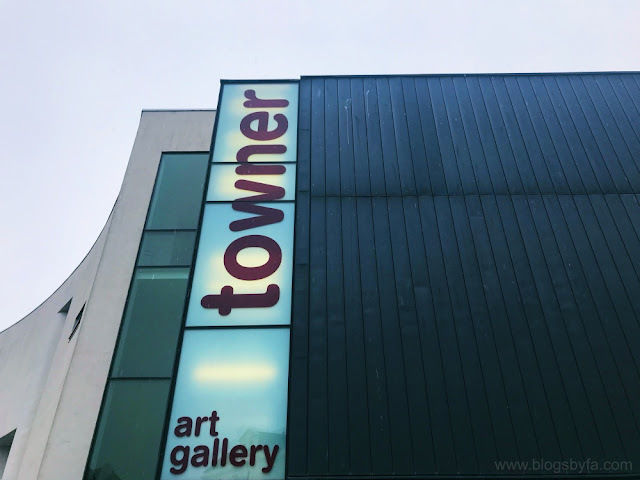 More than 100,000 people visit the Towner Art Gallery each year, and it has also been termed as the regions biggest art gallery. The building has different floors where various kind of art and paintings are displayed. The art gallery also has a cafe and an interactive room for the kids. Also, paid parking is available near the gallery. 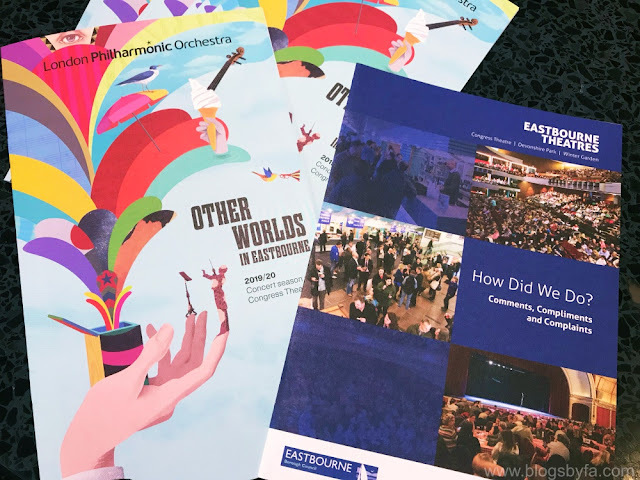 Have you been to Eastbourne? If yes, then let me know if there's any other place in the town that I should visit on my next trip to Eastbourne. All the images are the property of Blogs by FA. 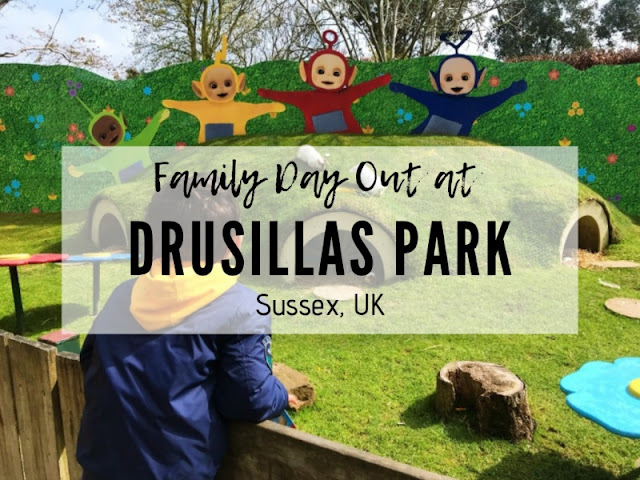 Known as one of the best outdoor fun places, Drusillas Park in Sussex is brilliant for the whole family to have oodles of fun! 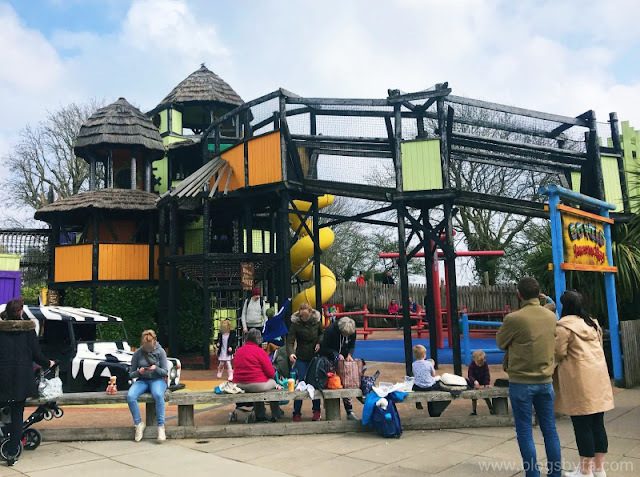 With several things to do, from exploring the animals in the zoo, enjoying the rides, or getting adventurous in the play areas, the park has lots to keep the kids busy the whole day! 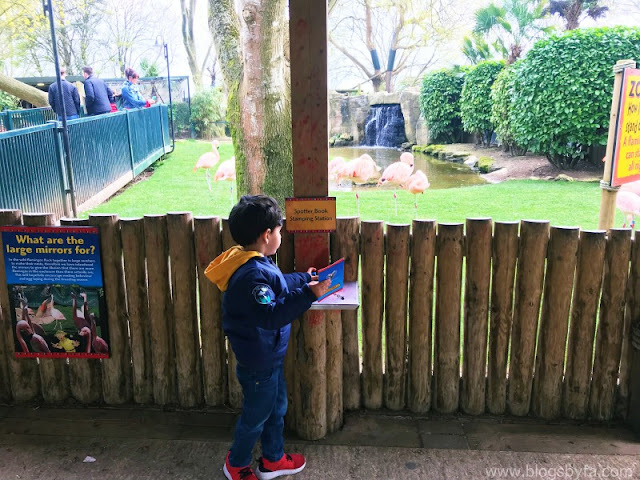 Hundreds of exotic animals such as flamingoes, owls, ant eaters and meerkats can be spotted on the zoo route and the kids can even stamp the animals they see in their Animal Spotter Book, which is an absolutely fun and fantastic activity for kids. 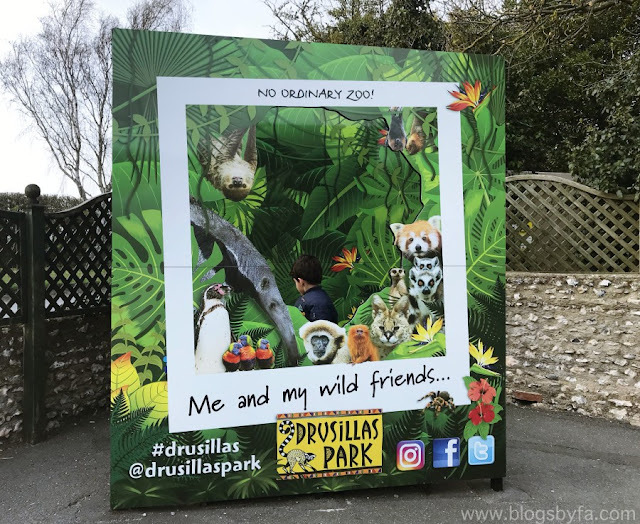 Drusillas Park has not just ensured the kids are entertained anywhere in the park they go, but the educational information provided throughout the park is perfect for enabling kids to learn lots of new facts from the interactive information points. 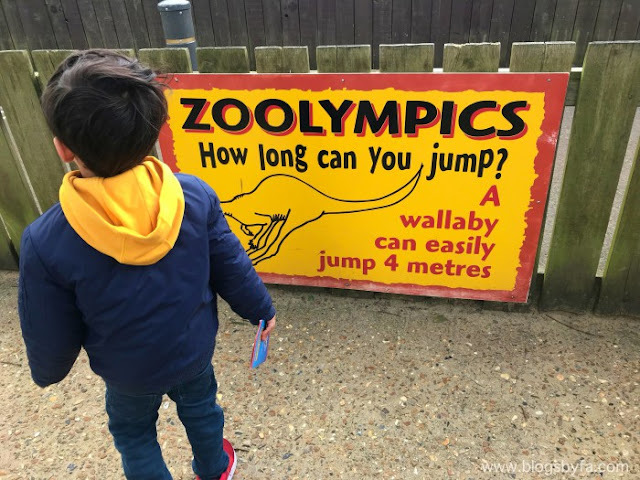 BabyN’ really enjoyed the Zoolympics challenge, watching the animals being fed, passing through the walk-through enclosures and feeding the beautiful birds (bird feed needs to be purchased). 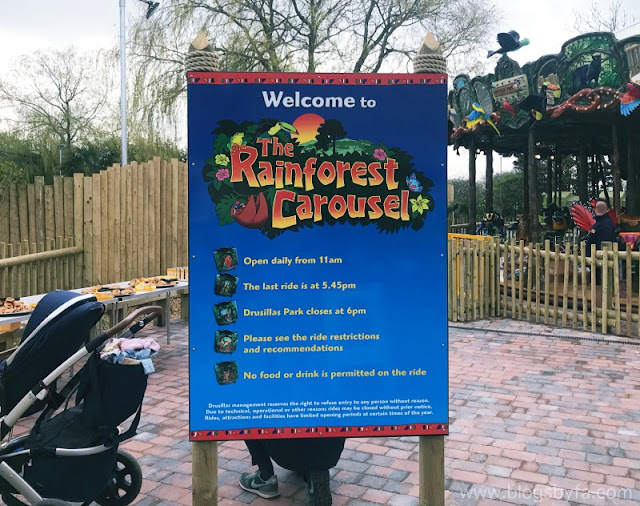 After seeing the animals, there’s still more for the kids as they can play at the Go Bananas playground (designed for under 6’s) with banana swing, zip lines and trampoline for kids that enables them to burn all that extra energy! 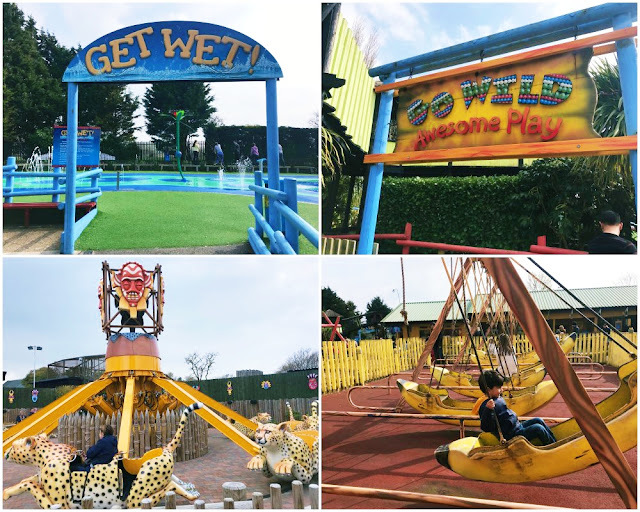 Moreover, the park also has the ‘Go Wild’ adventure park designed for kids under 12 as well as 'The Get Wet', the ultimate splash pad experience for everyone to enjoy especially on a warm sunny day. 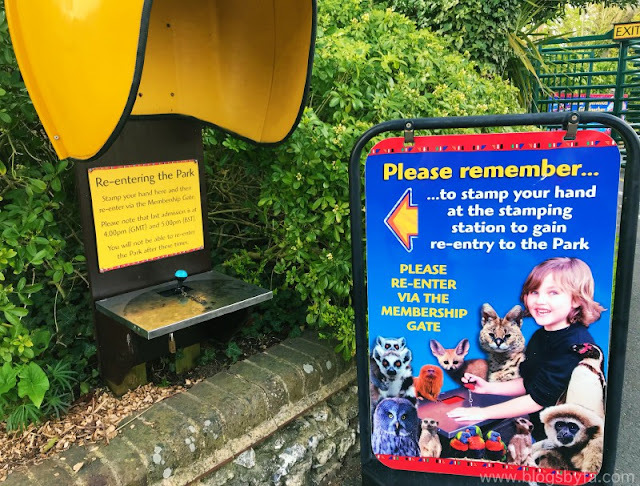 Although all these activities are included in the entry ticket, the park also offers a few extra activities that have a small charge. These include Panning for Gold, Vertical Limit, Penguin Plunge, Dino-Dig and the Shooting Gallery. 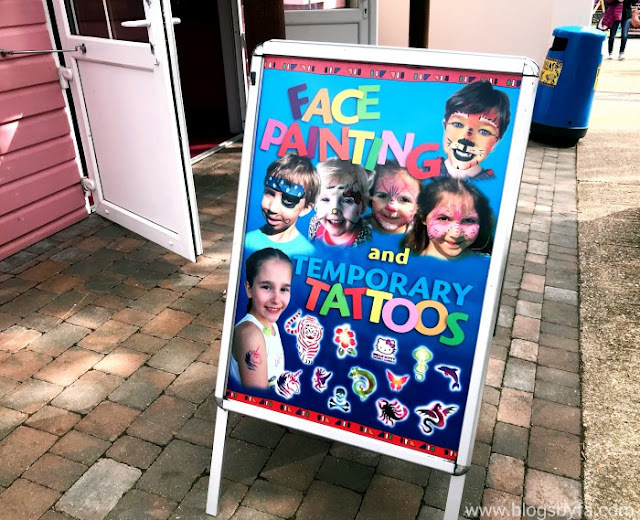 Moreover, the Hello Kitty fans can also visit the Hello Kitty Parlour for face painting, temporary tattoos and hair braiding. 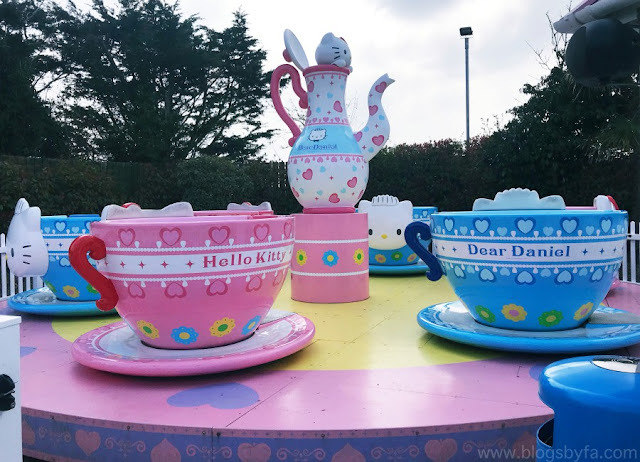 Kids rides available at Drusillas Park include Hello Kitty Cars, Hello Kitty Hopper, Hello Kitty Tea Cups, The Flying Cheetahs, The Hippopotobus, The Safari Express Train and the newly added The Rainforest Carousel! 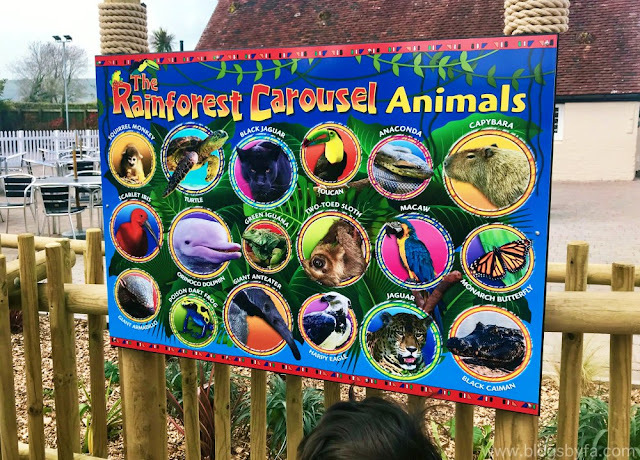 The kids can choose one of their favourite animal to sit on, from the various rainforest animals on the enchanting carousel such as the anteater, sloth, jaguar or the dolphin. This ride is perfect for the whole family to enjoy together. 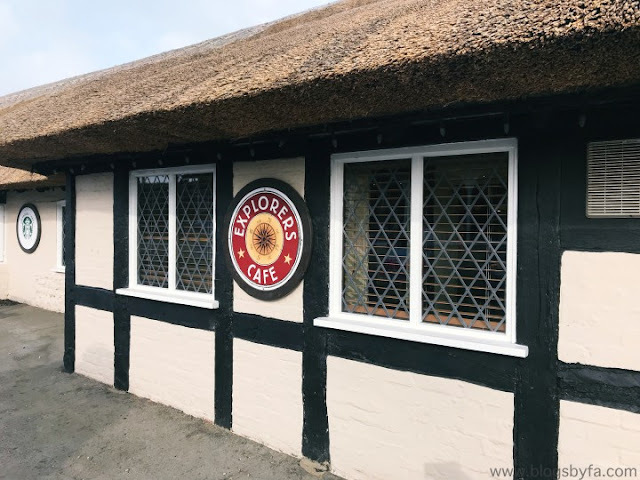 Stop for a bite or a drink at the Explorers Cafe that offers a range of food options for both adults and kids, including pizza, pasta, salad bar, fish and chips and cakes to name a few! 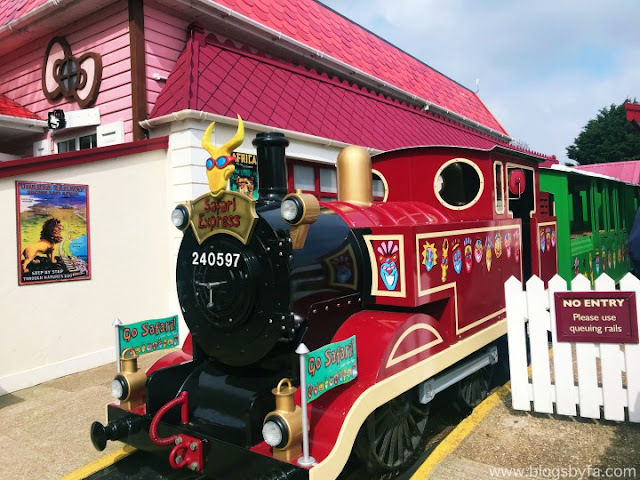 The park also has Oasis Cafe near the outdoor play area for kids, and it also offers a large selection of fast food while visitors can also get doughnuts, smoothies, ice cream or candies from Station Buffet. 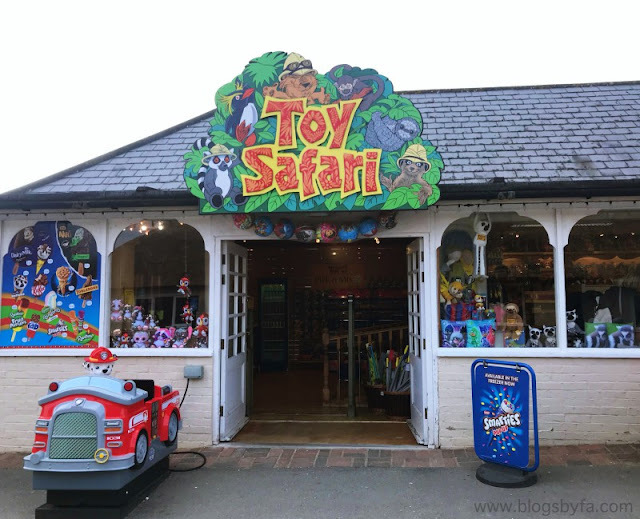 Drusillas Park also has various shops such as the Mungo’s Trading Post that sells toys and games, Toy Safari that sells character toys while Teddy’s Jungle Safari is perfect for buying soft toys! 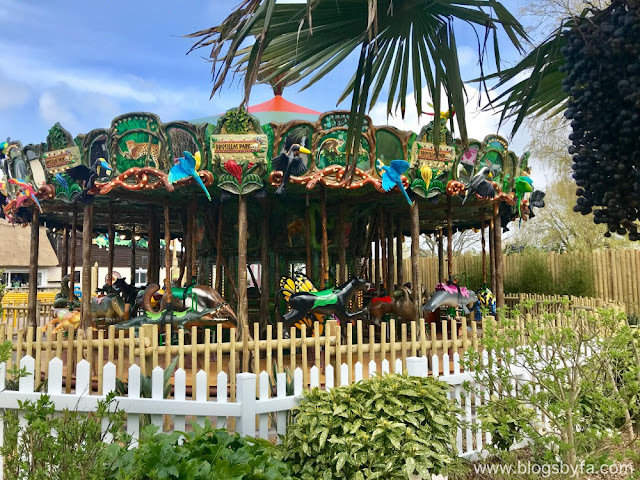 Special events at Drusillas Park are also hosted throughout the year, and this is the perfect time to visit if you’d like to attend the events they’ve planned for Easter. 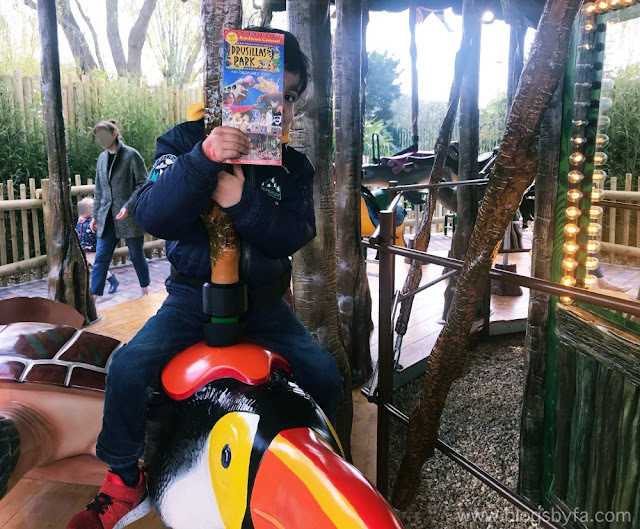 We had an absolutely brilliant day at Drusillas Park in Sussex, and its perfect for kids of all ages! 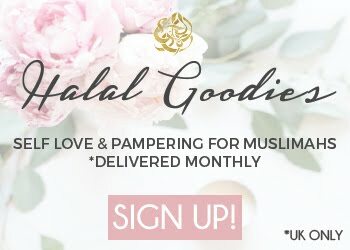 Welcome to Blogs by FA - Fatima is a UK lifestyle blogger who loves to travel, dine out and explore different horizons of life. Copyright © Blogs by FA. Powered by Blogger.